Here is a parable at one and the same time lit by grace and close packed with warnings. (i) The fig-tree occupied a specially favoured position. It was not unusual to see fig-trees, thorn-trees and apple-trees in vineyards. The soil was so shallow and poor that trees were grown wherever there was soil to grow them; but the fig-tree had a more than average chance; and it had not proved worthy of it. Repeatedly, directly and by implication, Jesus reminded men that they would be judged according to the opportunities they had. C. E. M. Joad once said, “We have the powers of gods and we use them like irresponsible schoolboys.” Never was a generation entrusted with so much as ours and, therefore, never was a generation so answerable to God. (iii) Further, the parable teaches that nothing which only takes out can survive. The fig-tree was drawing strength and sustenance from the soil; and in return was producing nothing. That was precisely its sin. In the last analysis, there are two kinds of people in this world—those who take out more than they put in, and those who put in more than they take out. In one sense we are all in debt to life. We came into it at the peril of someone else’s life; and we would never have survived without the care of those who loved us. We have inherited a Christian civilization and a freedom which we did not create. There is laid on us the duty of handing things on better than we found them. If we take that pledge we will fulfil the obligation of putting into life at least as much as we take out. 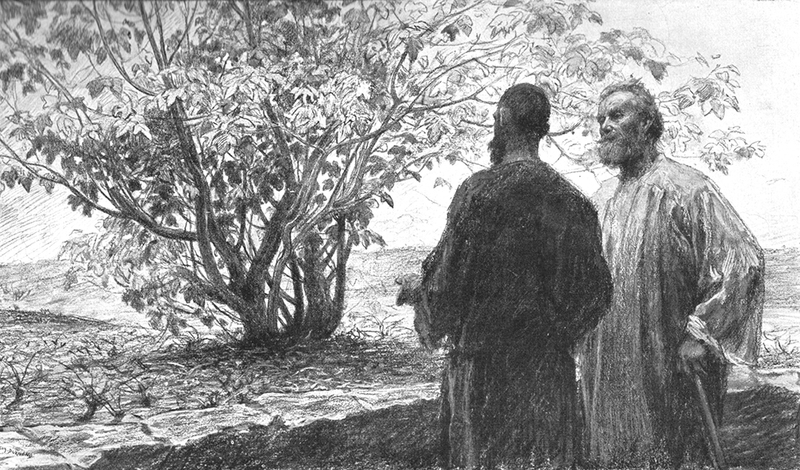 (iv) The parable tells us of the gospel of the second chance. A fig-tree normally takes three years to reach maturity. If it is not fruiting by that time it is not likely to fruit at all. But this fig-tree was given another chance. It is always Jesus’ way to give a man chance after chance. Peter and Mark and Paul would all gladly have witnessed to that. God is infinitely kind to the man who falls and rises again. (v) But the parable also makes it quite clear that there is a final chance. If we refuse chance after chance, if God’s appeal and challenge come again and again in vain, the day finally comes, not when God has shut us out, but when we by deliberate choice have shut ourselves out. God save us from that! Gospel of Luke, Barclay’s Daily Study Bible (NT). ** William Barclay’s own translation. ← Previous Post Reasons To Believe : Are There Transitional Intermediates in the Fossil Record?